Anjum has been the office manager at CSG Insurance Services for five years. Anjum and CSG joined Insurance Professionals of Arizona as independent contractors early in 2010. 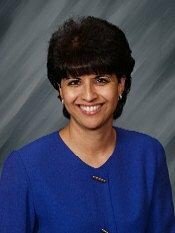 Prior to joining IPA, Anjum founded and operated two successful businesses in the East Valley over the past 18 years. She obtained her Personal Lines insurance license and has really enjoyed helping her clients save money on their insurance needs! As a Certified Legal Document Preparer she is proficient in creating Living Trusts, Wills, Power of Attorney, Living Wills and other estate planning documentation under the direction of an attorney. She is also Notary Public and runs a successful ticketing business on the side. She and her husband Mike live in Mesa and share five children and 2 granddaughters. You can contact Anjum directly at 480-635-4050 or email her at anjum@csgplanners.com.